The stances of the main parties in the election reflect different orientations to this crisis. The Labour manifesto tends to over-emphasise selective aspects of neoliberal rule in order to project more statist alternatives. The orientation of the Conservatives is more tortuous. Their manifesto hints at ideological retreats from neoliberalism. Yet an explicit rejection of ‘untrammelled free markets’ and ‘the cult of selfish individualism’ is not matched by any general reversal of fiscal austerity, or by increases in genuinely public sector activity, or reversals of privatised and corporate control of the servicing of public and personal needs. Thanks to an adroit move to capture the forces behind the fading UKIP project, the Tories are making a virtue of a ruthless break with the EU systems of regulated markets. Even though such a ‘hard Brexit’ would mean more neoliberalism: subjecting British businesses, public services and workers to the rigours of harsher international trading arrangements; with greater freedoms for corporations from taxes and regulation. Labour’s more activist state framework of re-nationalisations, higher public spending and selective tax increases, directly attacks key elements of neoliberal governance; but has two significant weaknesses. Firstly, its ‘retro’ character ignores the fiscal and governance flaws in the traditional social democratic (SD) paradigm that enabled neoliberalism to discredit and supplant SD institutions. Secondly, Labour’s proposals lack a distinct and unifying thematic which attacks the core of the neoliberal paradigm in voter-friendly terms. Labour’s tepid stance on Brexit outcomes reinforces this weakness. Rather than confronting Theresa May’s tough Brexit position, Labour claims, unconvincingly, that it is not a defining issue. In short, in a period of acute national uncertainty and division some of Labour’s solutions look dated – ‘back to the future’ rather than innovative and timely. The Conservatives’ strategy has been to surf the populist wave; flaunting a hard Brexit, severing trading agreements with the EU. Yet in other contexts May advances onto Labour territory: promising not only novel SD elements, such as, vague promises of worker representatives on company boards, but also guarantees to maintain EU-enshrined employment rights. Such policies, may be chimerical but their reportage creates useful ambiguity: even the TUC gave them guarded support. How are voters likely to react and will the opposition parties’ campaigns at least open up neoliberalism’s hegemony to popular challenges? Polls suggest a large Tory majority; a corresponding loss for Labour and modest gains for Lib Dems; with little or no further progress for Greens, UKIP and SNP. Such a Tory landslide depends on three plausible but uncertain conditions. 1. May wins seats outside the Tory heartlands and votes from erstwhile Labour voters. 2. Corbyn’s Labour fails to win, or loses support of, traditional and potential supporters: disadvantaged working classes, youth, minorities etc. 3. Lib-Dems’ appeal to ‘Remain’ supporters from the EU referendum fails to convert into enough votes or seats. Contrarily, Labour’s massive advantage in terms of activists on the ground, especially its Momentum praetorian guard, could mobilise latent Labour voters to preclude the first two of these conditions. Other potential grass roots check on a sweeping Tory victory could be belated surges of voter registration amongst the young, transient and often politically disenchanted, promoted by the numerous tactical voting campaign groups, some derived from the EU Remain movement. A further positive development is the, necessarily belated, launching of a Progressive Alliance. Supported by cross-party politicians and civil society activists and organisations, it aims to promote tactical voting to return sufficient progressive MPs for democratic checks on a potentially all-powerful Conservative government. Together these initiatives could hold off Tories in marginal seats. Finally there is the question of whether the Tories ‘air war’ supremacy – financial and media superiority – can maintain a discursive integrity; avoiding internal dissent or refutations from opponents. These political and ideological ramifications reflect the broader societal conflict over the neoliberal regime: with civil society forces trying to resurrect the public sphere and curb the dominance of the corporate and financial establishment, which Conservatives covertly seek to strengthen through Brexit. The worst case Parliamentary scenario for the opposition parties would set back progressive alternatives, rooted in equality, community, environmental and democratic reform movements. Their common core is the pursuit of the cumulative emancipation, amelioration and improvement which flourished under post-war SD and post-60s social liberalism. Thomas Marshall placed the early upsurge of this project within a three stage progression through the acquisition of legal, political and then social rights. In the vortex of Brexit’s economic upheaval, under a right–wing Tory Parliament and government, these rights could stall or even reverse. More positively, even if Labour’s retro SD fails and they are out of power, an emergent fourth phase of democratic equality could become politically plausible. Its key theme would be challenging neoliberal inequality by enhanced participation – the fostering of everyday democracy as a norm. Buttressed by a participation-linked basic income, it would be rooted in the lifeworld of civil society; for instance, extending support for family and neighbourhood caring networks. This ‘bottom-up’ democracy would support aspects of a re-invigorated public sphere – consistent with, but advancing beyond that currently envisaged by social democrats. A scenario this ruthlessly sprung election threatens to suffocate. 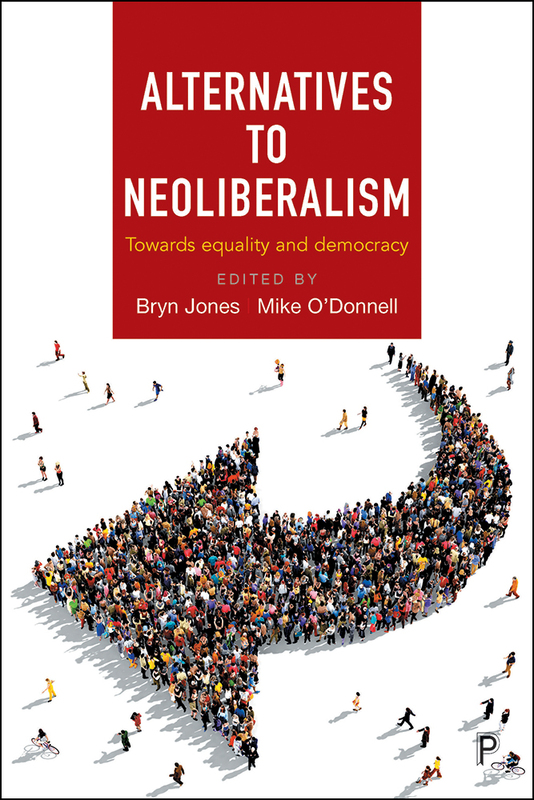 Alternatives to neoliberalism edited by Bryn Jones and Mike O’Donnell can be ordered here for £37.50.